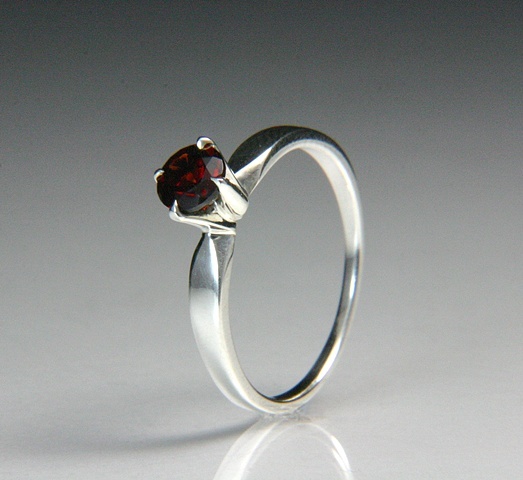 Beautiful 5mm red pyrope garnet set in deoxy silver, which will not tarnish. This would make a wonderful engagement ring or wedding ring. This ring also stacks with others of it kind. Current size is 7, but we can size it for free to fit you or a loved one. Please contact me about sizing.